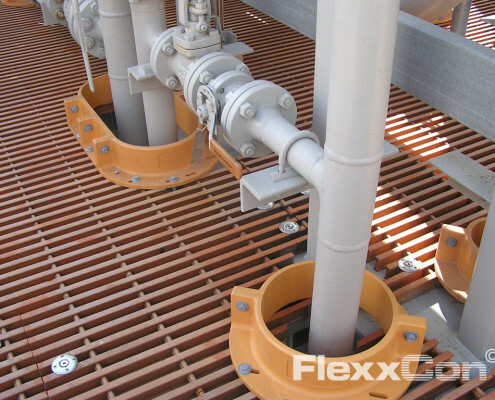 FlexxCon is a leading supplier of fibreglass reinforced plastic grating for the offshore, oil and gas industries and the energy sector. 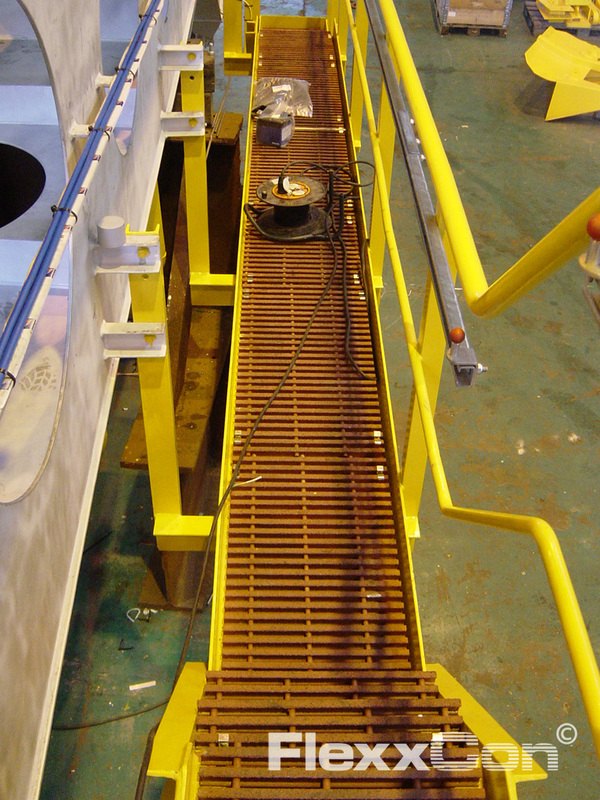 Use of Fiber Reinforced Plastic grating has many advantages in comparison with the much-used steel grating, particularly for the offshore industry. 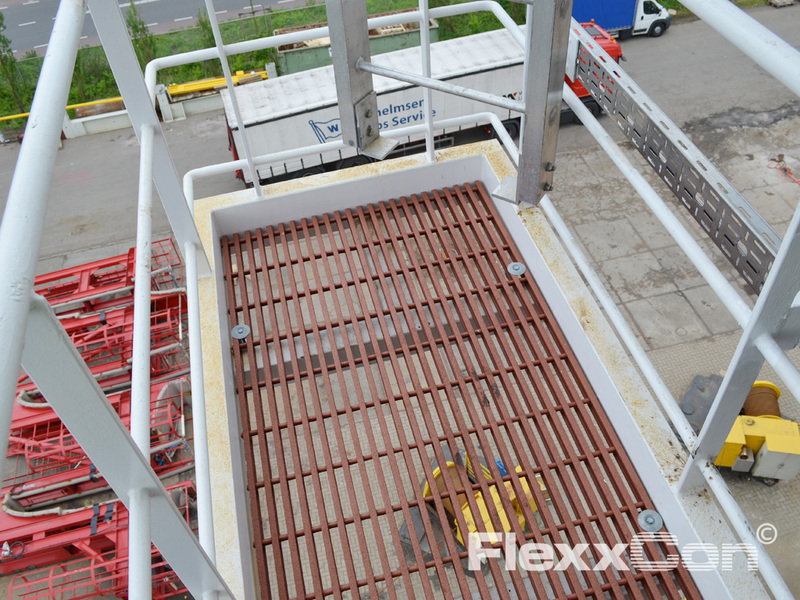 Fibreglass Reinforced Plastic grating is high in strength and corrosion-resistant, is lightweight, has a long service life and is safe in use: nonskid and excellent anti-slip properties. 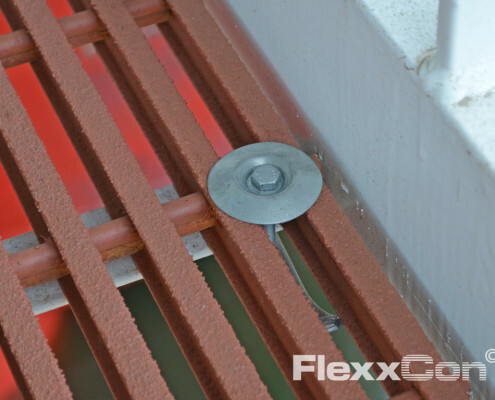 With regard to the specific fire safety requirements in the offshore sector, pultruded grating is regularly used in the offshore and oil and gas industries. 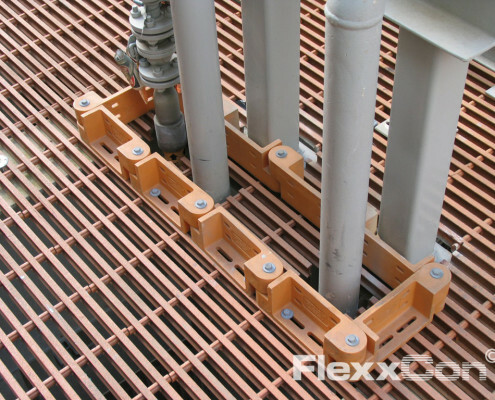 More information about pultruded grating. 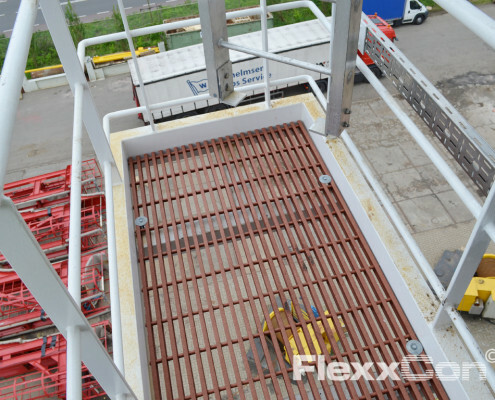 Fibreglass Reinforced Plastic grating can be used for walkways, platforms, staircases, hatch constructions and access and maintenance landings and channels. 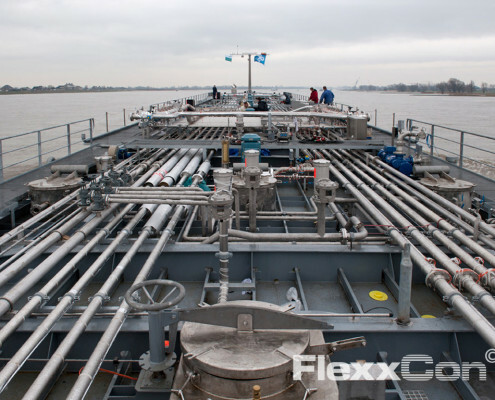 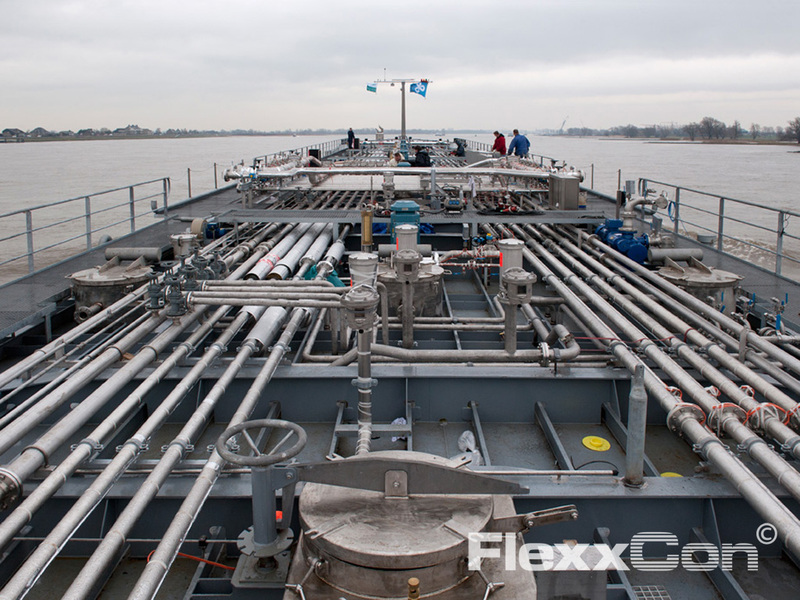 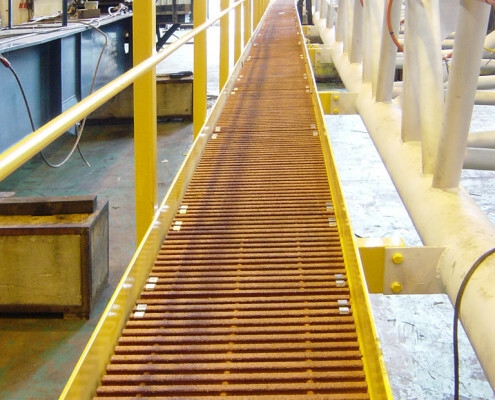 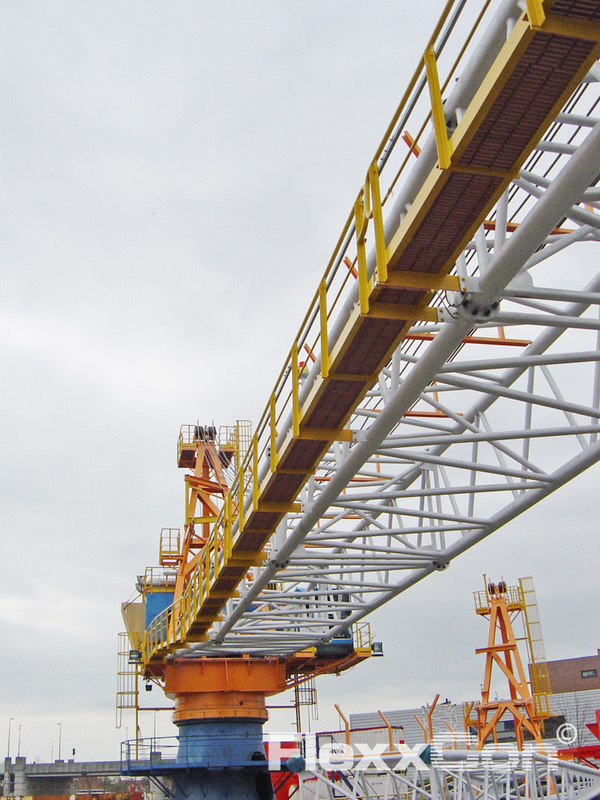 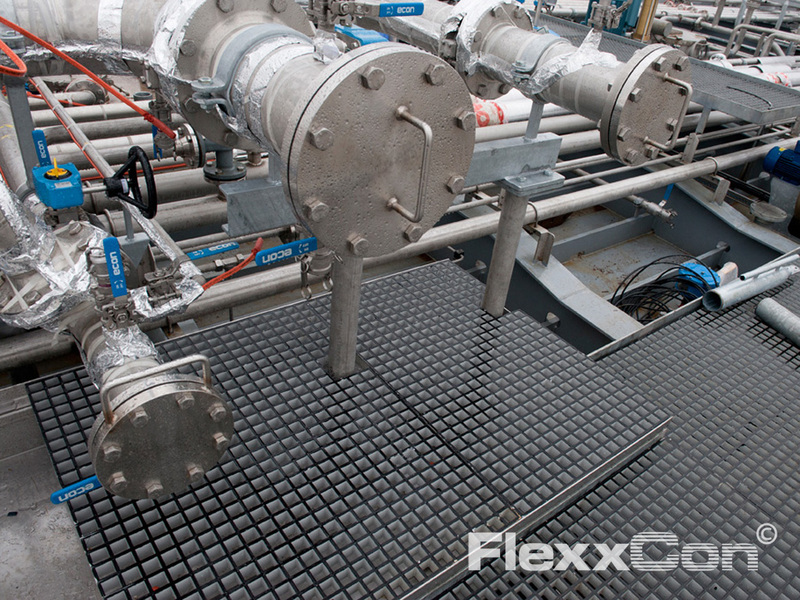 FlexxCon supplies FRP (heavy duty) grating for a wide range of applications in the offshore industry. 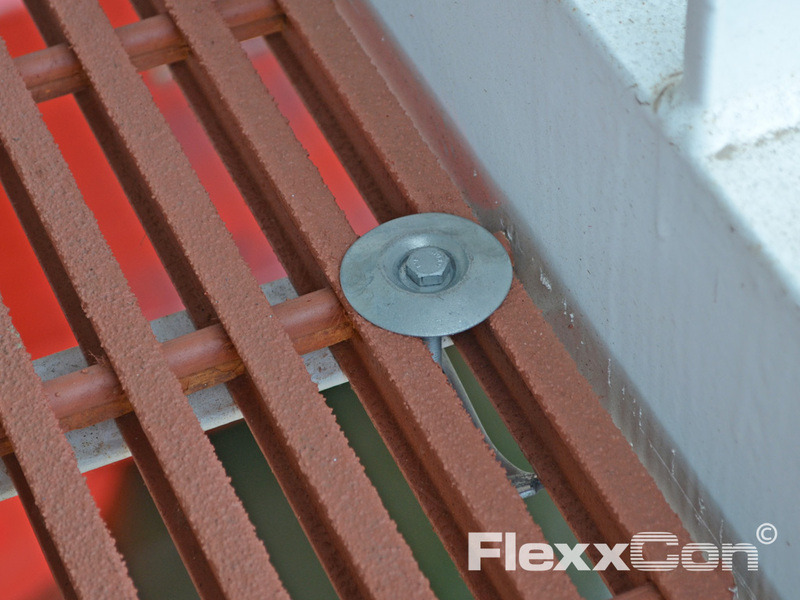 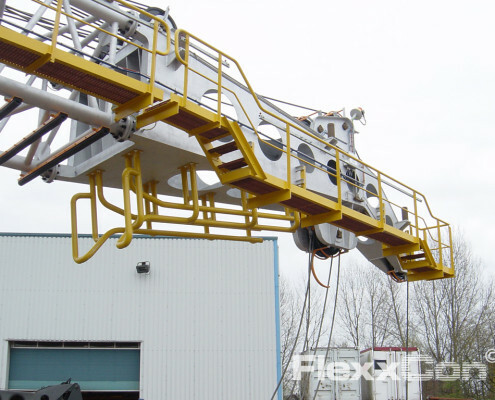 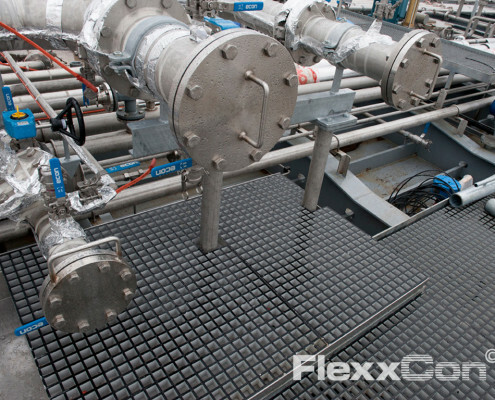 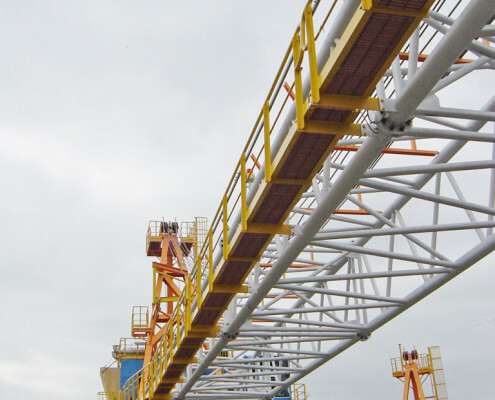 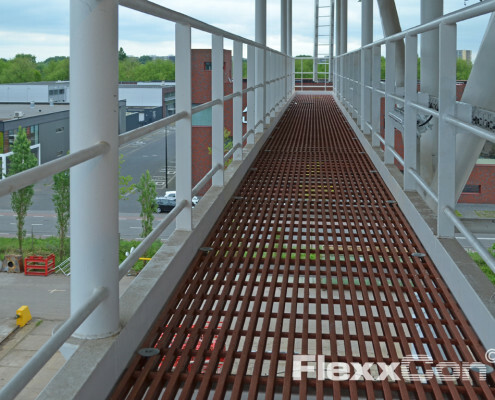 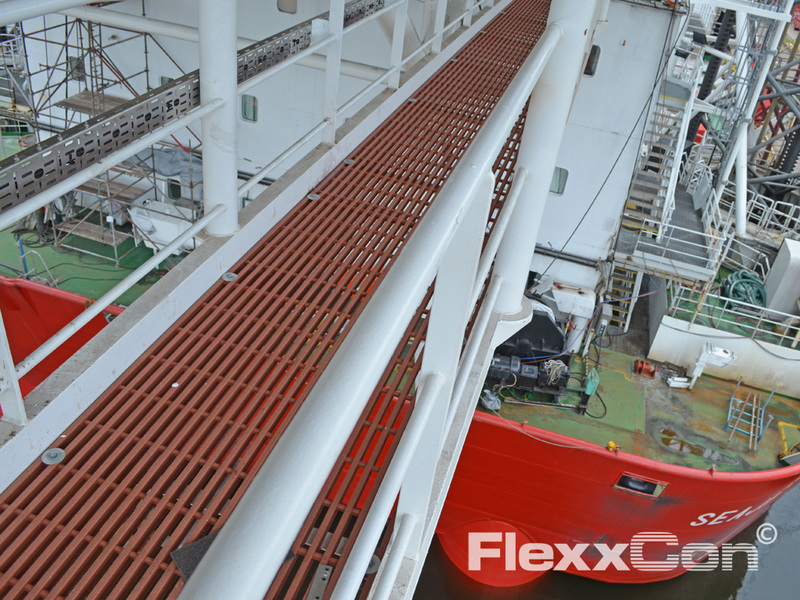 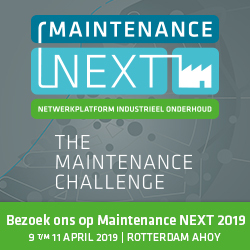 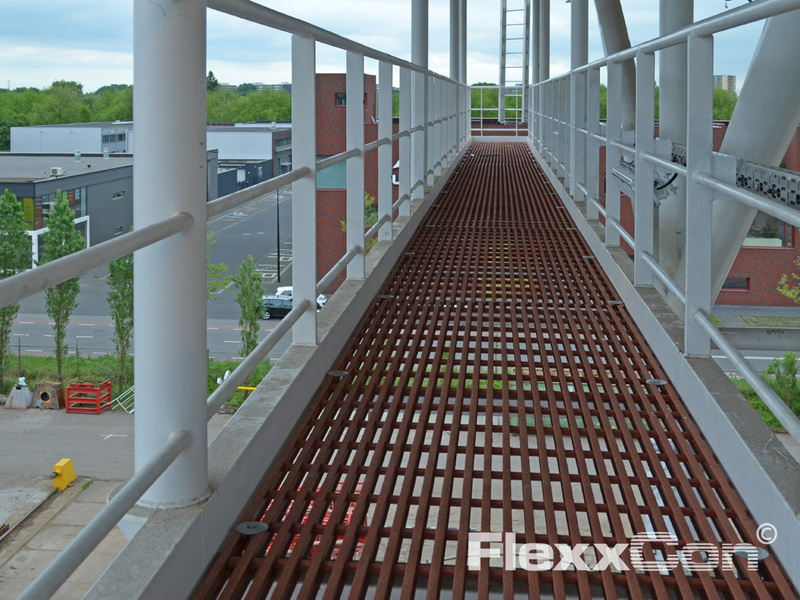 FlexxCon is not only a supplier of Fiber Reinforced Plastic grating, it also specialises in customised FRP constructions and solutions for the offshore industry. 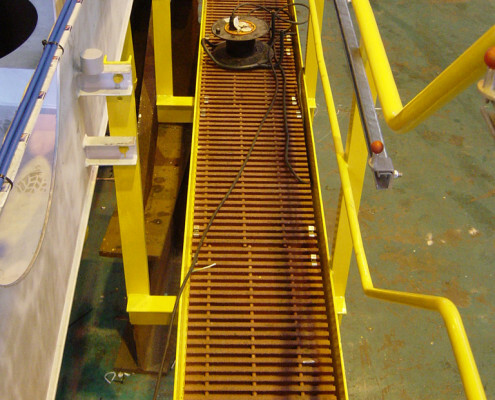 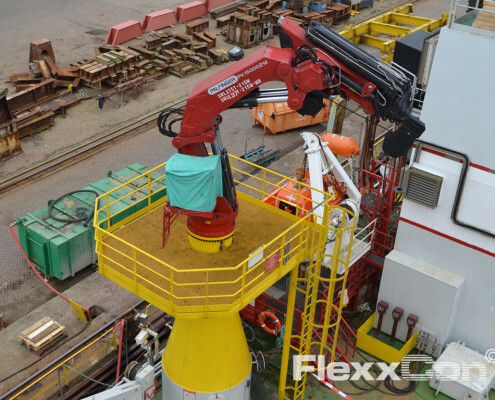 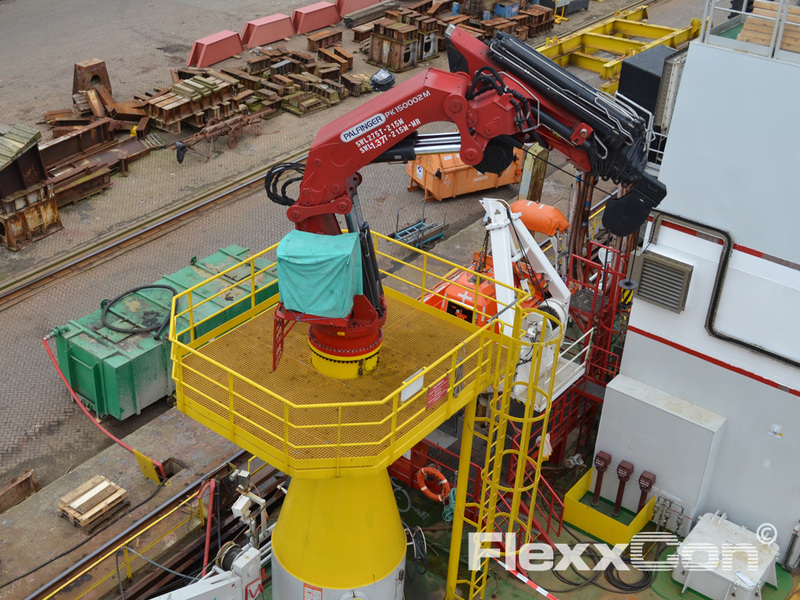 Our engineering department designs customised Fibreglass Reinforced Plastic solutions for a wide range of offshore and maritime applications. 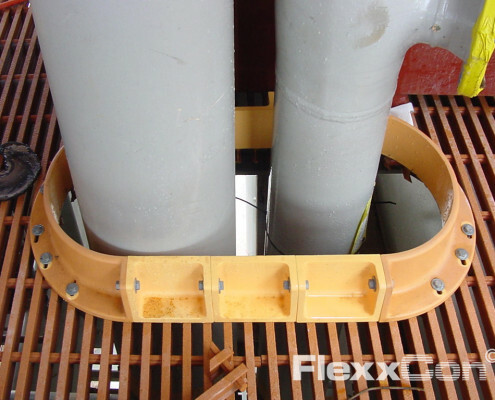 Why use Fibreglass Reinforced Plastic grating in the offshore industry? 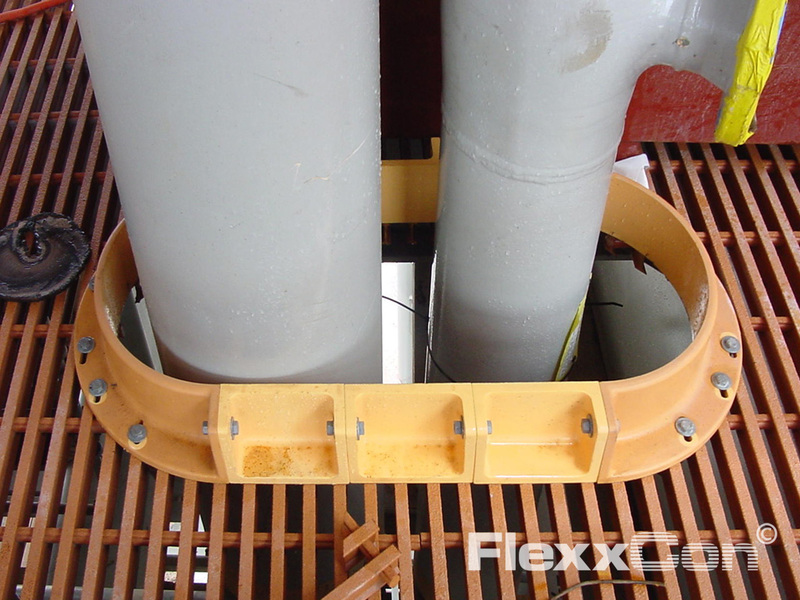 Fibreglass Reinforced Plastic grating can be provided with an antistatic top surface (optional) to prevent the formation of static electricity. Conditions in the offshore sector and maritime industry are often extreme. 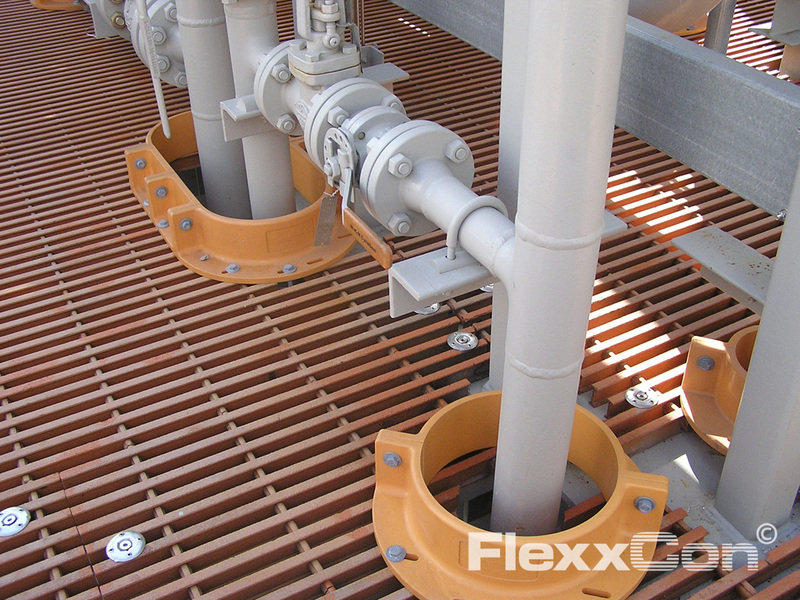 Aggressive, corrosive and humid, water-rich environments make high demands on the materials used. 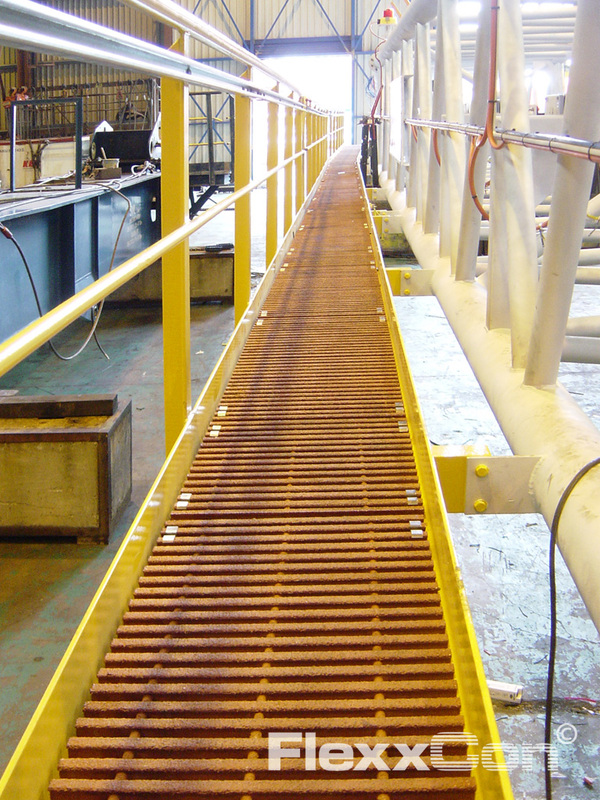 Rust and rot, moisture action and working of materials are occurring problems. 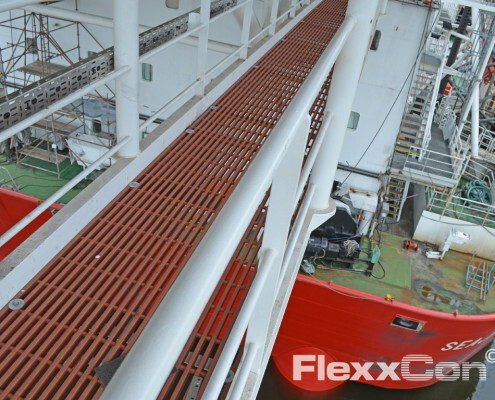 Fibreglass reinforced FRP grating is therefore increasingly used in the offshore sector, the oil and gas industry, in shipping and the maritime sector. 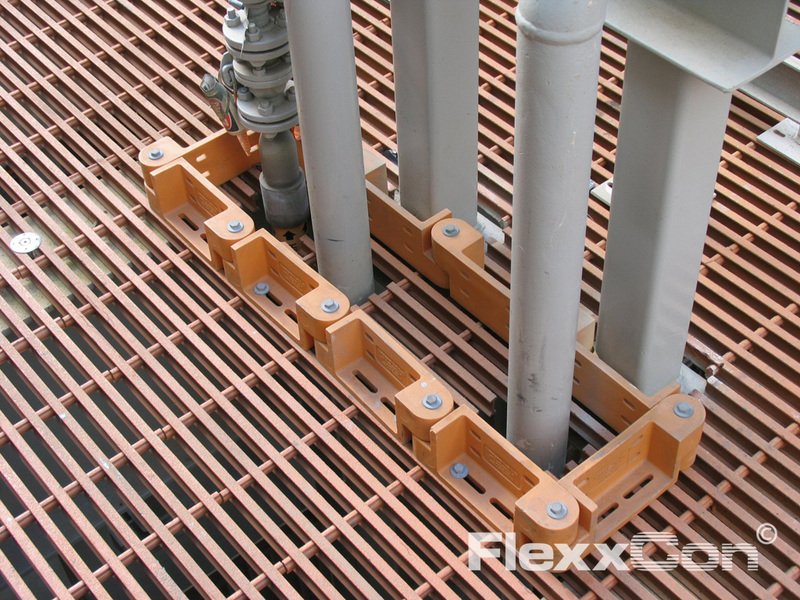 There are numerous advantages, especially the high strength, corrosion resistance and the long service life of FRP grating. 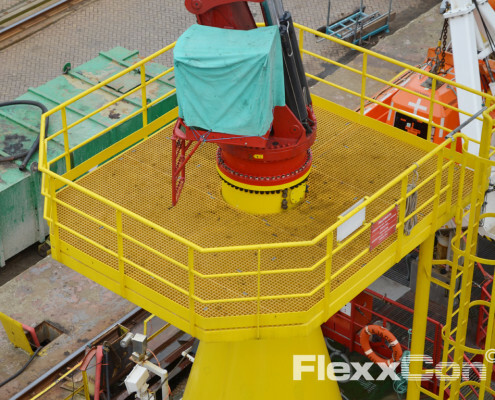 Do you have questions or de you require more information?